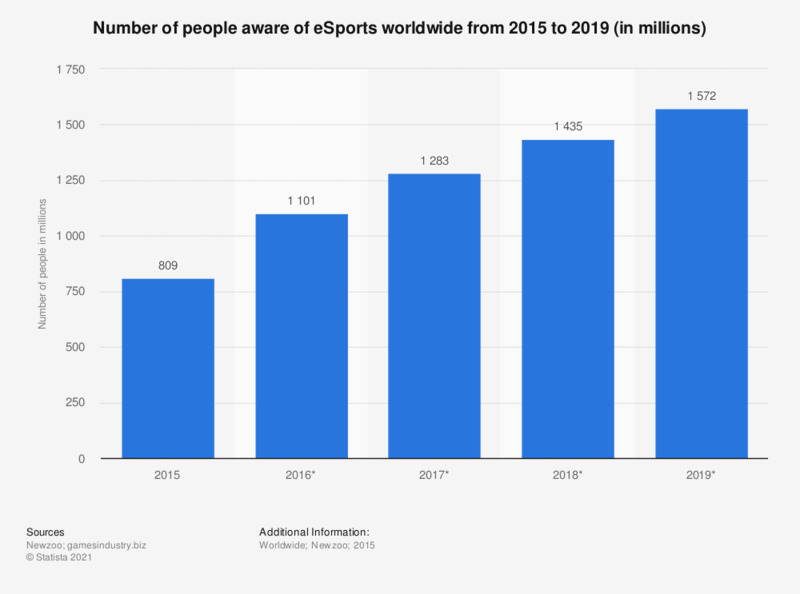 This statistic presents the number of people aware of eSports worldwide in 2015, witha forecast until 2019. In 2015, 809 million people worldwide were aware of eSports . This number is projected to reach 1.57 billion in 2019.